One of the last survivors of the Council, Bishop De Roo made the comments during a public lecture about Vatican II at St. Mark’s College at the University of British Columbia Sept. 15, the Catholic Register reports. He also said Vatican II was the first time the church asked itself “Who am I?” but he believed the council could have gone further with a more rigorous academic look at the early church. Collegiality and synodality were themes at the forefront of the council for participants but, according to Bishop De Roo, subsidiarity – the idea that matters ought to be handled by the smallest, lowest or least-centralized competent authority – was an even bigger theme at the council. “Subsidiarity brought to the forefront that the church is not a pyramid but a circle,” he said. Asked about the legacies of the council, the bishop said he had found it painful to see collegiality watered down over the years and not understood as something that applied to all members of the church. Bishop De Roo recalled that at the first session of the council, the wives of ecumenical observers were included along with their husbands and therefore able to follow council proceedings. However, Catholic women were not directly involved in the work of the council. By the third and fourth sessions, however, Catholic women began to be included in the council in various ways. However, he said only one woman, British economist Barbara Ward, addressed the council. 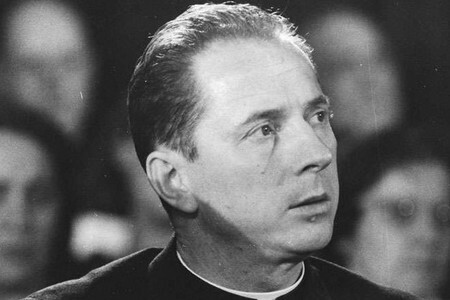 Young Fr De Roo was present at the IYCW International Congress in Montreal 1947.